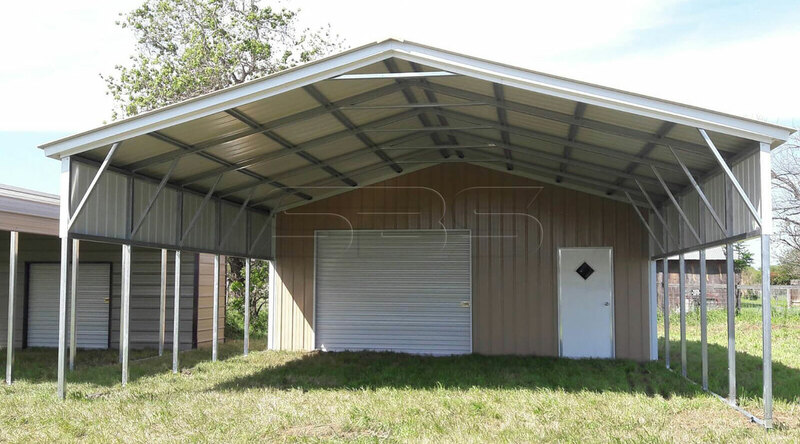 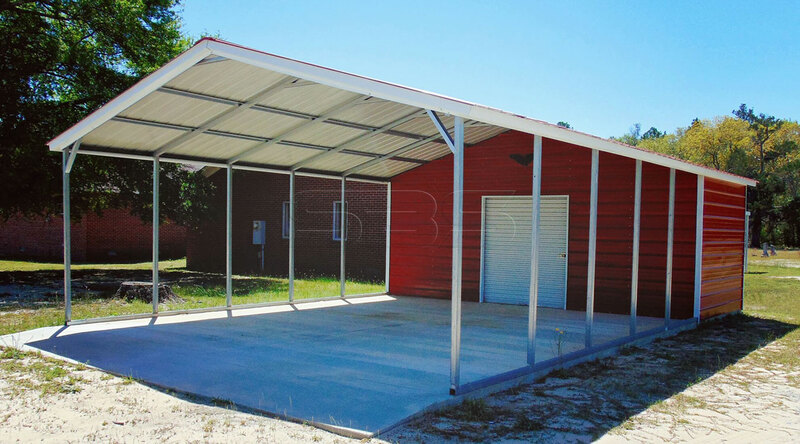 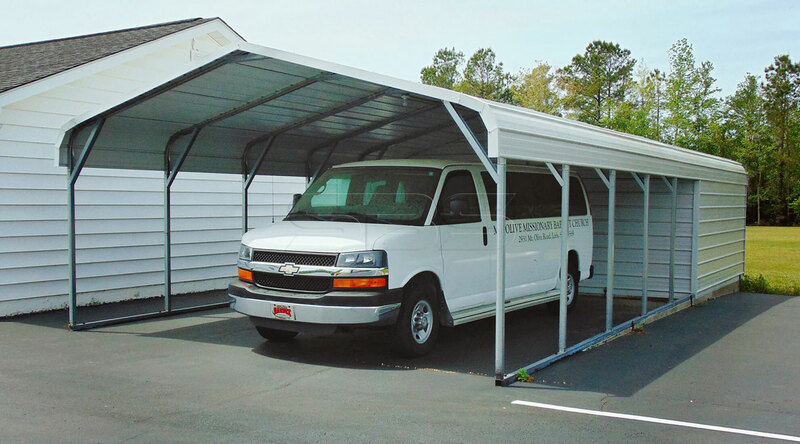 Imagine a carport with storage shed all in one unit. 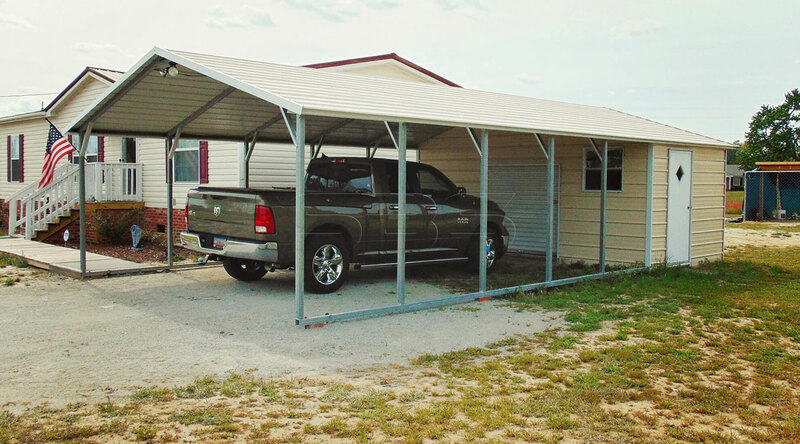 Combination Units protect not only your vehicles but also provide space for your lawnmower, tools, and outdoor equipment. 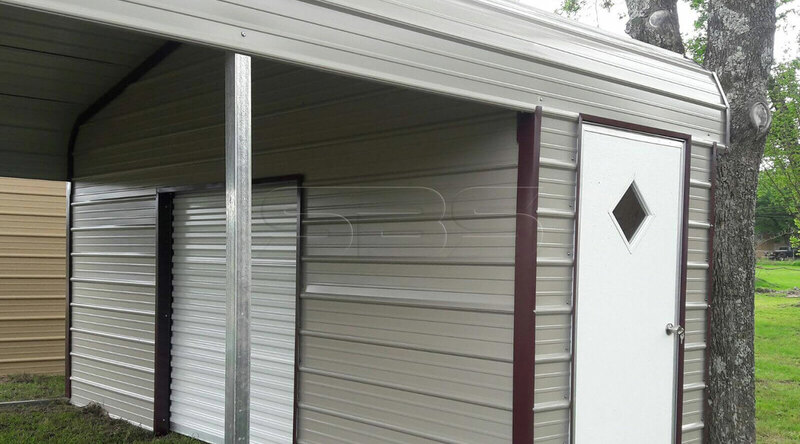 Add panels and gables to give your combination unit a finished look.